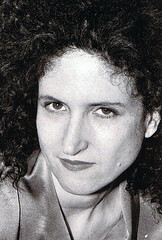 Pianist and vocalist Carol Liebowitz began studying the piano at age 9. She attended New York’s High School of Performing Arts where she continued studying classical repertoire, and received a BA in Music from New York University. After college, she began studying improvisation with pianist Connie Crothers and later, voice with Jay Clayton. She has performed with various artists at clubs around NYC, and in workshop concerts with Jay Clayton and Sheila Jordan. Other performances include two solo piano concerts, and duo concerts with guitarist Andy Fite and tenor saxophonists Charley Krachy and Bob Field. Her first recording, “Waves of Blue Intensities”, a duo with Bob Field, was released on New Artists in 1994. She lives in New York City.